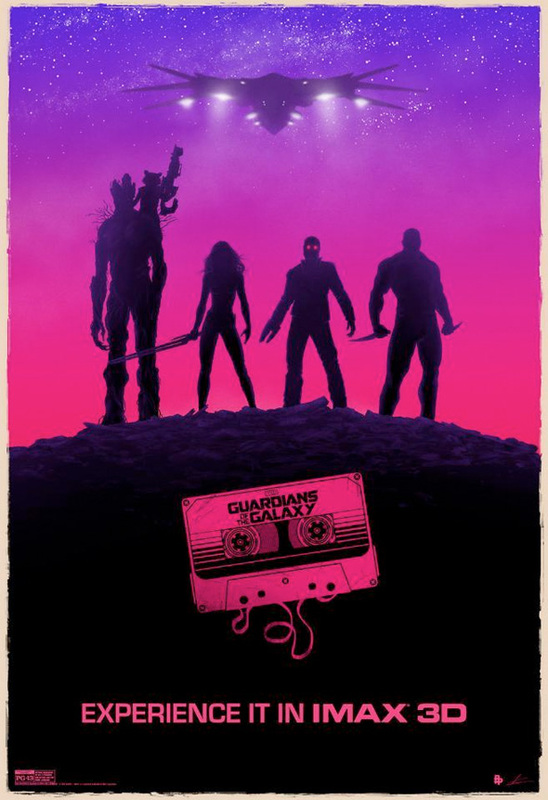 There's already plenty of hype for Guardians of the Galaxy, and fans who took the time to see the sneak preview of footage from the film a couple weeks ago were lucky enough to get a cool commemorative poster. But fans who weren't able to make it to the event still have a chance to get their hands on a couple cool posters. First of all, IMAX will be releasing a FanFix poster to anyone who sees the first midnight showing on August 1st (while supplies last), and then Marvel will be handing out a poster to those lucky enough to get into their panel at Comic-Con in Hall H this Saturday (stay tuned for our coverage). Look below now! 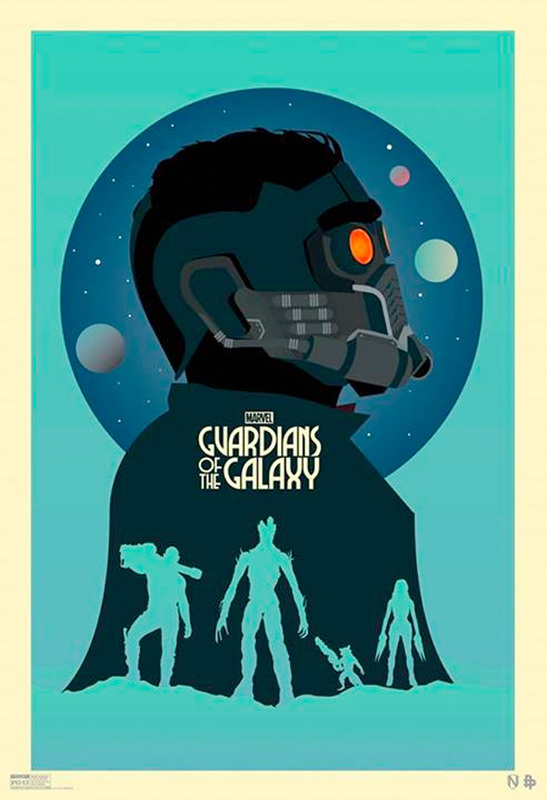 Both of the above posters came from the two different phases of original artwork for Blurppy's Poster Posse for Guardians of the Galaxy. If you missed out on that art, check out more of them here and over here. Guardians of the Galaxy is directed by James Gunn (Slither, Super). Brash adventurer Peter Quill finds himself the object of an unrelenting bounty hunt after stealing a mysterious orb coveted by Ronan, a powerful villain with ambitions that threaten the entire universe. To evade the ever-persistent Ronan, Quill is forced into an uneasy truce with a quartet of disparate misfits — Rocket, a gun-toting raccoon, Groot, a tree-like humanoid, the deadly and enigmatic Gamora and the revenge-driven Drax the Destroyer. But when Peter discovers the true power of the orb and the menace it poses to the cosmos, he must do his best to rally his ragtag rivals for a last, desperate stand. Marvel Studios releases the film on August 1st. Star-Lord's mask is too cool.